Karnataka govt. 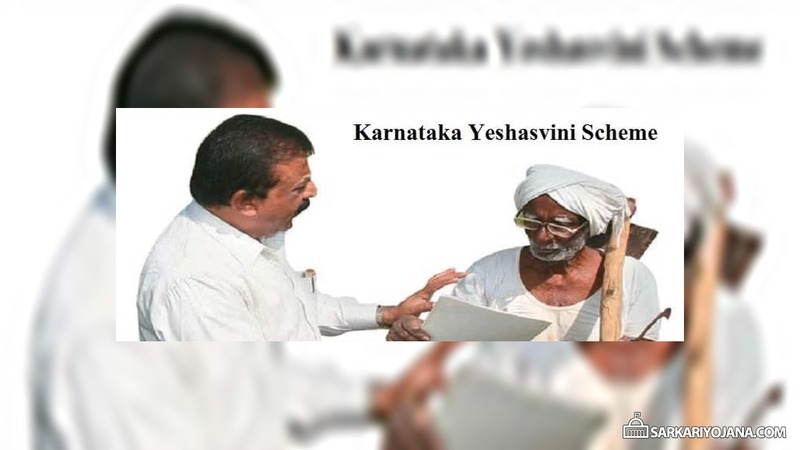 has decided to reintroduce the Yeshasvini Health Insurance Scheme for Farmers. This Yeshasvini Cooperative Farmers Health Care Scheme (YCFHS) was previously introduced on 14 November 2002 (implemented w.e.f 1 Jun 2003) for the co-operative farmers of Karnataka. Yeshasvini Scheme is one of the largest self funded healthcare scheme in the country and CM said that the scheme is going to replace the Ayushman Bharat – PM Jan Arogya Yojana. Yeshasvini Self Funded Health Care Scheme is based on the concept of rural health care scheme and is implemented through network hospitals. This Yeshasvini Scheme provides cost effective quality healthcare facilities to the co-operative farmers spread across the state. Now this scheme would be reintroduced in the Karnataka Budget 2019-20. This health insurance scheme in Karnataka offers a low price product for a wide range of surgical cover to farmer cooperators and their family members. The beneficiary contribution is small and cashless treatment is provided at all the network hospitals. In order to avail benefit of Yeshasvini Scheme, a person should be a member of Rural Cooperative society of the state. All the family members of the farmers can avail the benefit of this Yeshasvini Self Funded Health Care Scheme though they are members (with 3 members) of rural cooperative society. Every beneficiary is required to make a prescribed annual contribution. In 2017-18, member contribution was Rs. 300 p.a for Rural Yeshasvini and Rs. 710 p.a for Urban Yeshasvini. Scheme starts from 1st June and ends on 31st May of financial year. The period of enrollment commences from July and closes by October every year. Yeshasvini Health Insurance Scheme is open to all rural co-operative society members, members of self help group / stree shakti groups which possess financial transaction with the cooperative societies or banks, members of weavers, beedi workers and fisherman cooperative societies. Yeshasvini Scheme covers the entire state of Karnataka with main focus on the rural areas and urban cities. Karnataka Yeshasvini Scheme is implemented through recognized Network Hospitals of the Trust. There are around 730 network hospitals throughout the state which includes private and government hospitals. The trust identifies and approves network hospitals in order to provide medical / surgical facilities as per the approved empanelment criteria. Yeshasvini Scheme beneficiaries can avail treatment and cashless hospitalization facility at any network hospitals. For availing treatment, beneficiaries have to approach the nearest network hospital. The coordinator at the hospitals examines the UHID card of the beneficiary, enrollment fee paid by the beneficiaries and will facilitate patients to undergo preliminary diagnosis and basic tests. In case the surgical intervention is required, hospital admits the patients and send pre-auth request to Management service providers (MSP) with proof of documents. The network hospitals will then provide cashless treatment and surgeries to the beneficiaries as per the limites prescribed undr Yeshasvini Scheme. All the network hospitals after discharge forwards original bill, discharge summary along with signature of patient and other documents to MSP for processing and settlement of claims. The the trust makes payment to all network hospitals through MSP within 45 days of receipt of bills. Around 823 types of surgical procedures as identified by the Yeshasvini Trust which is defined in list of surgeries. This is subject to certain exclusions at tariffs pre-negotiated with participating hospitals. From 2006-07, the state govt. has included the following medical benefits – Medical emergencies such as dog bite, snake bite, drowning, and accidents occurred while operating agricultural implements, bull gore injures and electrics shocks, normal delivery, neo-natal care and angioplasty procedure. The surgery package includes cost of medicines, consumables, cost of operation theater, anesthesia, surgeons fee, professional charge, consultant fee, nursing fee, general ward bed charge etc. Package rates for each of the surgery is fixed under the Yeshasvini scheme in Karnataka.